Backed by Cricketer Yuvraj Singh in recent past, Bangaluru-based mobile beauty marketplace, Vyomo has raised yet another round of seed fund from TaxiForSure Co-Founder Aprameya Radhakrishna. After creating buzz over the investment made by Cricketer Yuvraj Singh, mobile marketplace Vyomo has raised an undisclosed amount of seed fund from Aprameya Radhakrishna, the Co-Founder of TaxiForSure. Reportedly, after his exit from Taxiforsure following its acquisition by rival Ola for around $200 million (Rs 1,200 crore) in March 2015, Vyomo is Radhakrishna’s maiden investment. Expectedly, the firm will utilize the fund to expand its team, to uplift the technology development of the company and for customer enhancement. Aimed to replicate the taxi hailing apps model like Uber, Taxiforsure & Ola for salons, spas and wellness professionals, Delhi-based Vyomo is founded by London Business School graduate partners Abhinav Khare and Poonam Marwah,who have a strong team of LBS and IIM professionals. Marwah, who’s got 16 years of experience in operations, internet marketing and technology, has successfully led3 newventures, growing organisations and managed complex projects. 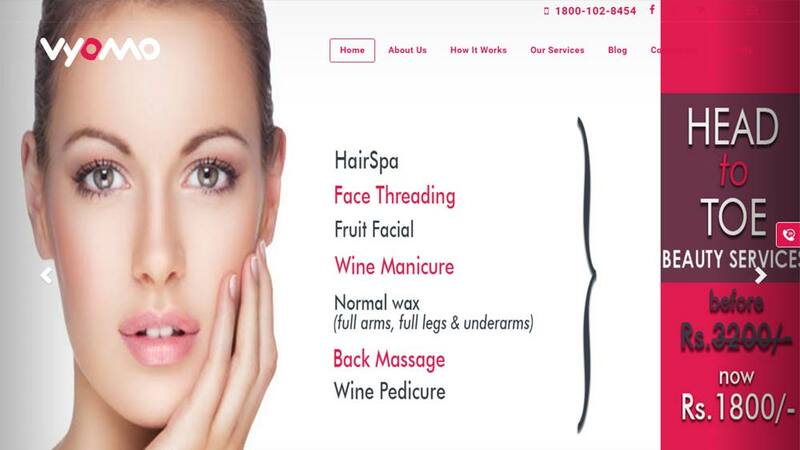 “Through our platform, various and salons can promote themselves to the customers, cover the whole market, enhance customer experience and offer discounts. We have launched the customer App on May 29 and Business App for salon and spa in the first week of April,” added she. Vyomo came into being in June 2014. Founder of the app, Khare is a Corporate Development Expert with 10 years experience in 3 continents and 32 countries in the domain of Market Entry, Strategy Execution and Building Analytics products. Significantly, Vyomo, a mobile marketplace for Beauty and Wellness segment acts like a SaaS based end- to-end salon management software that helps in business growth and simplify business of wellness professionals by providing increased traffic, CRM, ERP, EPOS, Performance Management, Booking Management and Online Presence. Sama Spa at Bengaluru Marriott Whitefield..